Home > Insurance > When is the Best Time to Buy Life Insurance? I don’t talk about it much on Frugal Rules, but I spent five years in the life insurance industry prior to becoming a stockbroker. My wife also spent nearly ten years in the industry. Due to that, we commonly get asked when is the best time to buy life insurance and our answer is always the same – it’s going to be different for each individual. We’re all going to die at some point, and need to do what we can to make sure family members are prepared in the event of our passing and life insurance is a major piece to that. The best time to buy life insurance is a common debate and it’s clouded by the fact there is so much misinformation about it. You have sales representatives who sell policies to be things they’re not as well as the belief that you absolutely don’t need it if you don’t have a family. With that in mind, I’m going to be running a series here on Wise Dollar that will not only go over when is the right time to buy life insurance but also things to look out for so you can keep more money in your pocket while also being wise in what you purchase. The best time to buy life insurance, generally speaking, is sooner rather than later. Earth shattering I know, but very true. 🙂 The simple fact is that the earlier you buy your life insurance, the cheaper it’s going to be. We’d love to think that we’re better as we age, though the actuarial tables insurance companies use will tell you differently. I know that those without families or who are younger will question why they need to purchase life insurance when they have no “need” at the moment. I get that, I really do, and held it at one point, but it’s a shortsighted view in my opinion. It’s a simple fact that the younger you are when you buy life insurance, the cheaper it’s going to be for you. Ultimately, it means that you will be saving money over the long run. That’s also not to mention the fact that you’re likely going to be able to afford more life insurance coverage than you would if you wait years to get it. Take that with the fact that you never know what’s going to happen in life and it generally makes sense to buy life insurance sooner rather than later. There is also a misconception that it’s not the right time to buy life insurance if you have 10-20 pounds to lose or are working on quitting smoking, or other things like that. That is an understandable belief, but you shouldn’t allow that to hold you back from purchasing coverage. Many don’t know that you can buy life insurance without the exam or you can simply get your rates re-evaluated once you lose that weight or stop smoking. Instead, buy insurance coverage now and use the hope of lowered premiums to motivate you to reach your goal. Term Life: Term Life provides coverage for a specific period of time. The most common are 10, 20 and 30 year terms. These are generally the cheapest life insurance policies to buy and once the term is over your coverage expires. Whole Life: Whole Life varies from Term in that it provides coverage for the entirety of your life, or until you surrender the coverage. As a result, Whole Life premiums are generally more expensive but they do allow you to build a small cash value in addition to the coverage. Whole Life insurance is commonly referred to as “burial insurance” for older individuals who are looking for ways to cover the final expenses. Universal Life: Universal Life is a step up from Whole Life and is generally viewed as permanent insurance as well. Universal Life allows you the possibility to build a larger cash value and is often sold as an investment product, although life insurance should truly not be considered an investment. Group Life: Group Life is usually the cheapest and easiest to get as many employers offer Group Life coverage. Having Group Life is a great option, but only as a compliment or supplement to other coverage that more fully replaces your income. This is due to the fact that you’re generally not able to take it with you when you leave an employer. That said, at the very least, you should purchase this if it is available. Now that we’ve covered the major types of life insurance, the great thing to know is that there are many avenues by which you can buy life insurance coverage today. You have the traditional insurance representatives you can buy from as well as online purchasing opportunities. You can easily find life insurance rates and purchase policies through companies online. Personally speaking, I like to have a mix of different policies and amounts as it is cost advantageous for us. For example, we have $50,000 in coverage for my wife through USAA for $5 per month, which isn’t too bad in my opinion. By now, you should know when it’s a good time to buy life insurance and what to buy. You want to buy young and buy cheap. As I said earlier, there is a lot of misinformation when it comes to life insurance. One of the main areas that comes from is the belief that life insurance should be treated as an investment vehicle. Listen, I understand why many insurance representatives sell it as such. It’s because they get nice fat commissions out of selling those types of products to you as a client! I saw it every day for five years and it’s a shame that it happens it much as it does. The situation is made worse when fear is used to sell such products to uninformed clients. It might be an effective sales strategy, but it’s not the best one in my opinion. When do you believe is the best time to buy life insurance? 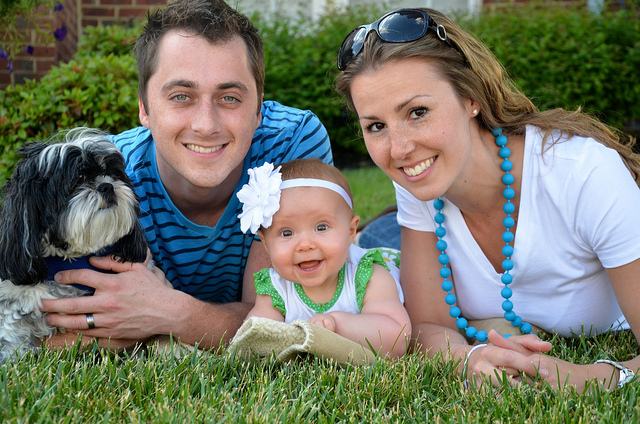 When was the first time you bought life insurance coverage? This post was featured on Your PF Pro, Money Smart Guides, Finance With Reason and Money Smart Guides. I am a big fan of life insurance if you fit the right categories like married, home owners with kids under 22. I know that most term policies don’t pay out, but if something were to happen to your or your spouse at a young age the financial implications to you and your family could be catastrophic. I have insurance and I sleep better at night knowing that I do. That’s a great point about the concern that most term policies don’t pay out. Like you, I sleep much better at night knowing we have the coverage we do need and for as little as possible in the event one of us does have an untimely death. I am NOT a big fan of life insurance or insurance for that matter. Nobody likes paying for insurance until they need it right? But I know it is necessary! I probably should review my policy and consider increasing my coverage now that we have a baby. Yea, a lot of people are that way and I feel the same way – why pay for something if you’re really getting nothing out of it currently. That said, you’re definitely on the right track and something we did after having all our kids. I think people (young people in particular) don’t think much about life insurance even though for a lot of people it’s critical! This is a great post to help people remember how important it is. I agree Natalie, many that are younger don’t give a second thought to life insurance. I know I was guilty of it myself. I definitely understand it and in many cases that means they might not need it or need less coverage. But, for many it still benefits them to get something…especially cheap term coverage as you never know what’ll happen in life. So I’m almost 28 and super healthy but I don’t plan on having children for AT LEAST 7-10 years. So I’m having trouble justifying the need. I do disagree with a few things too. Unfortunately the life insurance industry has been given a bad rap by the agents that use fear tactics for selling life insurance. I take the high road. My mission is to educate my clients about the benefits of having adequate life insurance coverage for all stages of their lives. Not to scare them in to buying a policy. Did you know that there is a type of life insurance that will actually accelerate your death benefit in the case of a critical, chronic, or terminal illness. Both in a term and a permanent policy. Where else can you get protection like that? Bottom line: For most Middle Americans and small business owners life insurance is their estate until they create one. There is a place for market based products and a place for life insurance products. To not think so is naive. I’m not anti-market, I’m just pro-protection. And yes, I’m a life insurance agent. I have been for five years and am very proud of it. Thanks for stopping by, commenting and sharing your input Daniel. I do appreciate it. I agree that it is unfortunate that the industry gets a bit of a black eye thanks to the sales tactics of some reps.
That said, your argument is one that I was assuming I’d hear. In relation to the commission structure, that is a hugely irrelevant argument. If anything, the commission structure should be the EXACT opposite. With how most companies set it up now it incents the rep to sell a given product, collect the commission and then who cares if the client stays on the books or not. To answer your question, that is where I get the fat commission argument. Whenever a sales rep is incented to sell a given product with the promise of a higher commission upfront the client then begins to lose out as many are only going to look out for themselves. Plain and simple. In relation to anything Variable NOT being permanent I emphatically disagree. Variable products, assuming the client stays above water in terms of the cost of insurance, are in fact permanent coverage. They are sold by reps that way and then sold as an investment which just makes it even worse. Comparing life insurance reps to a broker who manages your investments is really an apples to oranges comparison and thus an invalid one. Having worked in the brokerage industry myself I actually recommend as many to manage their own investments as they can so they can save their hard earned money and not line the pockets of someone else. I’m all for pro-protection. I think that should be obvious by the tenor of my post. That said, to believe that most need some sort of permanent coverage is questionable at best. Why spend exponentially more on something when they can get the same coverage for a fraction less? It just doesn’t add up, unless you’re getting the commission, to pay more for something when they don’t have to. If the commission structure is an irrelevant argument, why bring it up in the original post? I further do not understand your generalization of an entire side of the industry with the argument “With how most companies set it up now it incents the rep to sell a given product, collect the commission and then who cares if the client stays on the books or not.” and “Whenever a sales rep is incented to sell a given product with the promise of a higher commission upfront the client then begins to lose out as many are only going to look out for themselves. Plain and simple.”. How that reads to me is that you are saying that life insurance companies and agents don’t care about their clients, just the commission. It’s called ethics. I do like the idea of the commission structure being reversed. It is an interesting take. The comment about Variable insurance was solely to distinguish the lack of guarantees that most permanent life insurance products have in place, not about a variable product being permanent. And the cost of insurance is not what usually kills a variable policy, it’s having to take the full amount of the losses right along with the gains, plus the fees inside of it for the investment component. Variable Life is by and large a horrible product which is why very few carriers even offer it anymore. We do agree on another thing, Life insurance is not an investment product, hence the difference in licensure required to sell it compared to what is required to sell market based products. As I said, it is an important component of a balanced portfolio. It is really too bad that people sell it as an investment type product. The actions of the few reflect on the many. The comparison about life insurance reps to a broker was simply a statement of fact in relation to your original comment about the commissions being a valid reason for not buying a permanent policy. Most people don’t have the time, patience or fortitude to learn how to manage their own investments. That is why they hand it off to someone. If a permanent policy is built correctly, by an ethical agent, the benefit paid to a beneficiary far exceeds the amount of premium that the insured paid. That does not even touch on the advantages of any cash value building inside of a policy that grows tax deferred and then either is taken a tax free policy loan or a tax free death benefit. It’s just math. Speaking to your comment “Why spend exponentially more on something when they can get the same coverage for a fraction less? It just doesn’t add up, unless you’re getting the commission, to pay more for something when they don’t have to.” I still do not understand your fixation on the commissions. I assume that you have experience in the life insurance industry and realize that the commissions paid on term, whole, and universal are identical. Term insurance is only there for the original term. Have you ever priced Term insurance for a 70 year old person? Most people do not build an estate large enough to pass a legacy to their heirs. Hence the need for a permanent policy. Sure the price is higher in the beginning. Have you ever heard the Zig Ziglar quote about price vs. cost? And what about the tax benefits of a permanent policy vs. a market based account? Sure everyone likes to save in a qualified plan (401k, IRA, etc.) but Uncle Sam always gets his cut. Do you think taxes are going to be higher or lower in the future? I also know that whether I die tomorrow or in 60 years my family will be set financially because of the very small amount of money that I pay every month for my term and permanent insurance. I am covered by the term for another 27 years and by the permanent policy forever. I mentioned that the commission structure is an invalid argument because it doesn’t really matter who is paying it (meaning it doesn’t matter if it’s coming out of the clients account or from the employer of the rep). At the end of the day the rep is still incented to sell a certain product. That said, I wouldn’t say by any means that reps or companies don’t care about the individual. But, what I would say that there are those out there who don’t…they want to be paid and get the commission. Unfortunately that’s not just relegated to the insurance industry, but in many others as well. It’s not really a fixation on commissions but a simple matter of fact. To answer your question, I did spend five years in the life insurance industry and my wife spent ten years in the industry. With our business we also deal quite about with the industry. Too many times to count we see reps selling products that are driven solely by the commission. It makes sense, on one level, but doesn’t add up it is then sold as an investment. That’s also not to mention the fact that clients are sold whole life policies that are exponentially more than term policies. I understand the need for it in the event of “burial coverage” or wanting that small build up of CV but too often it just doesn’t make sense. Well, although I’m not a big fan of life insurance since I hardly ever go to a doctor or have anything to do with medical services, I think it’s quite an important to have and start early. We never know what’s going to happen, and although it doesn’t look like much use now, that time when we actually need it we’ll be glad that we actually have one. You’re exactly right, we never know when something might happen and the benefit of starting early is that it’s cheaper. I don’t get it… is life insurance REALLY cheaper if you start younger? I.e. if I added up the year totals if I started life insurance at 22 and died at 65, vs starting it at 45 and dying it at 65… I’m sure I’d pay more in those extra 23 years of paying life insurance for 22, surely? I have no real interest in life insurance at this age – surprise surprise. I’m 26, in a relationship but not married and without kids. Personally, I would prefer to build up my own wealth so by the time I have children I know even if I did pass on my partner would have enough capital and assets to raise them well. That might all change by the time I have children, but for now it’s my game plan. That is an understandable thought Christine, though it’s not generally a correct one. 🙂 Think of it this way, the actuaries who price out you, or anyone else, for life insurance are all about mitigating risk. The younger you are the less risk, generally speaking, you present. With each year that risk goes up and when we’re talking decades it’s even more because as you age you have higher risks and thus more expensive.